BMI refers to the Body Mass Index measurement, which could be eventually used to measure and indicate the body fat based on the heights and weight of the human body and this software will apply to both men and women who have crossed the ages of 18 and who were below 65 years of age. 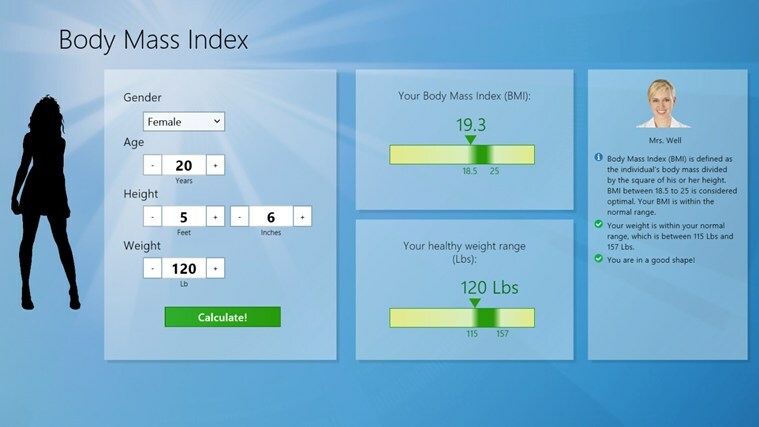 If you want to know whether you are overweight or obese and also indicate whether you are underweight or normal, then you could make use of this BMI Calculator software. A BMI score is practically and theoretically proved to be between twenty and twenty five. A score below twenty would indicate that you would be underweight and a score above twenty five would indicate that you are overweight. Either by using the BMI calculator or by using the appropriate and prior BMI formula, you could be able to calculate and measure your own BMI. Your BMI index is a measure of your height is to weight ratio and there would be a correlation between this ratio and your general health. You could simply calculate your BMI by taking your weight in kilograms and by dividing it by the square of your height in meters. This software is provided to be available for all kinds of platforms and interfaces, including android, iPhone and iPods, tablets, PCs and Other mobile devices and gadgets. In general, BMI is a very useful measure of overweight and obesity. This would be generally calculated from your height and weight. IF the BMI range is higher, then there are higher chances of getting riskier. Although BMI could be used to measure body fat for both men and women, it has some limitations. Some of the domain limitations would include that it might overestimate the body fat in athletes another who have muscular build, and it may underestimate the body fat in older persons and others who have lost muscle. The approximated BMI table shows that, if the range of BMI level is below 18.5, then it is underweight strategy, if the range is between 18.5 to 24.9 then it would be a normal strategy. If the BMI range is between 25.0 to 29.9, then it is overweight strategy. If your c crosses 30.0, then it is obesity. 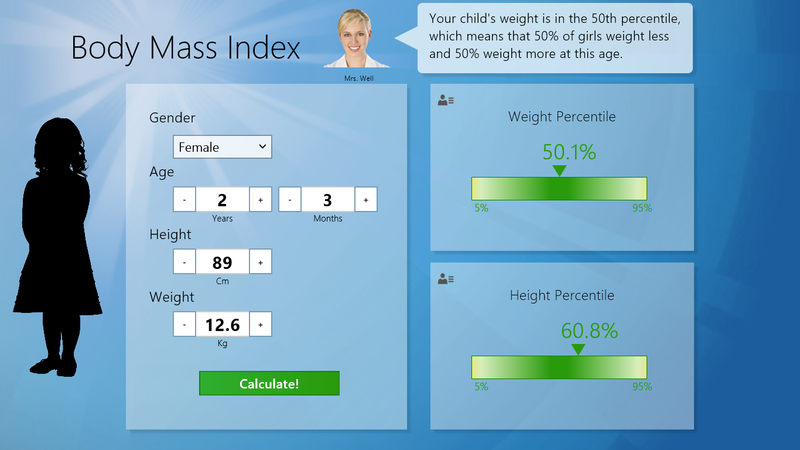 What do you think about BMI Calculator?